ANY show I can sit and enjoy with my kids...I'm in for! ALL IN! I feel like these days, those are few and far between. 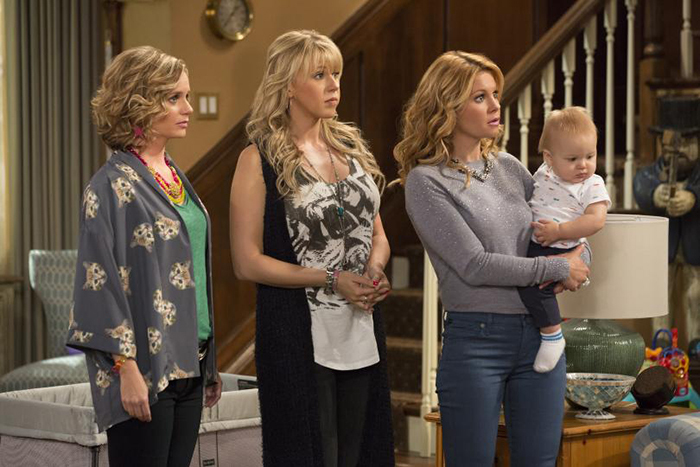 Cut to Netflix bringing back the crew from Full House to be Fuller House, and I am psyched! You can catch all episodes February 26. NOW, DJ, Stephanie and Kimmy are all grown up, and raising three boys. They say you can't go home again, but this really feels like coming home again. We all grew up watching Full House and having all the characters come back (minus the Olsen twins) is SO fun. We get to catch up with our favorite characters, but then we get to watch them move forward, and that's what I love about it. 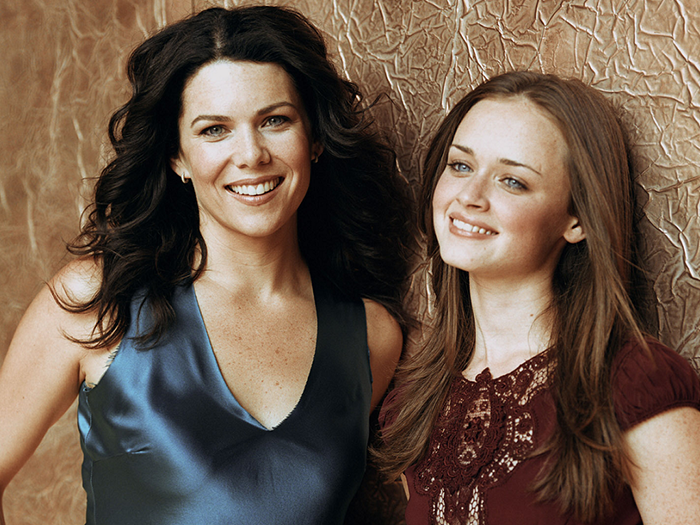 There are alot of other great family favorites that you can stream on Netflix, and I can NOT believe how excited I am for Gilmore Girls coming back. I don't know much, but what I do know is that it's HAPPENING! Lauren Graham, Alexis Bledel, Scott Patterson and Kelly Bishop are all in. So are Sean Gunn and Keiko Agena. I have not heard whether or not Melissa McCarthy will be returning as Sookie, but a girl can dream #FingersCrossed! I like to think of myself as subscribing to the Lorelai Gilmore handbook of parenting. What...a girl can dream of being as cool of a mom as her?! I particularly relate to, "I can be flexible, as long as everything is exactly as I want it, I'm totally flexible." or "I can't stop drinking the coffee, I stop drinking coffee, I stop doing the standing, and the walking, and the words-putting-into-sentences doing." If you're a Gilmore Girls fan...what's your favorite quote? If you haven't seen Gilmore Girls...then you have a treat waiting for you on Netflix. Start streaming it NOW!